Do you remember Autumn 2014? And, among other things, the surprising news that somehow someone had the idea to close one of the most popular footpaths at Chadkirk? The footpath threatened with closure was the one from the main car park, alongside the stream, over the bridge, through Little Wood and out on the lane by St Chad’s Well. One way it seemed possible to save this footpath was to apply to have it dedicated as a footpath. Any footpath that is dedicated and recorded on the Definitive Map showing public rights of way could not be closed. So Friends of Chadkirk started the ball rolling…. The appropriate forms were filled in and submitted to the appropriate officials. Most of the land is owned by Stockport MBC. A small part of the path is not. Establishing that walkers have used the path as a right of way for many years can be a way to have a footpath dedicated. Setting this process in motion seemed vital, given the proposals to close the footpath. The application has been in the hands of Public Rights of Way officials since June 2015. In the event, after a series of meetings, the Werneth Area Committee rescinded the plans. The footpath remains open. For now. But what of the future? 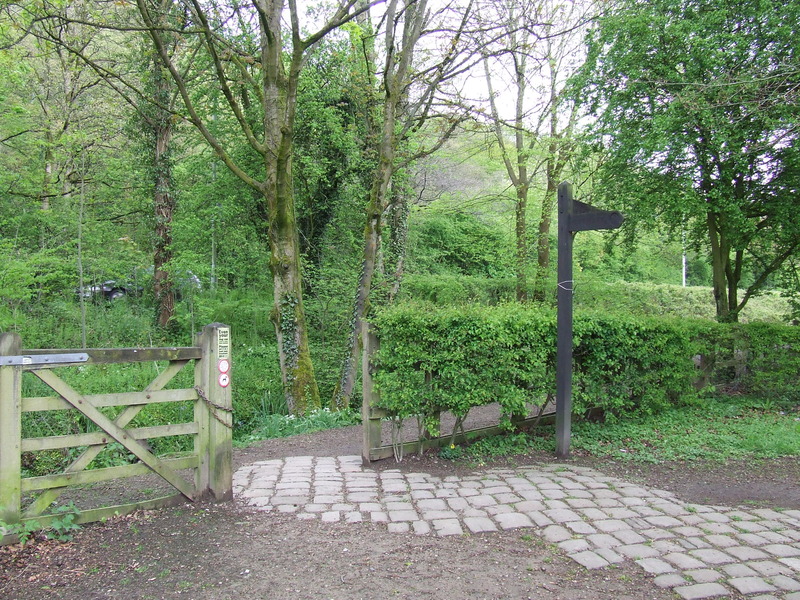 As an application has been submitted and supporting statements made by regular users, might it be best to continue to see if the footpath can be dedicated and thus protected for future walkers in Chadkirk Country Park? If you visit Chadkirk and have been walking this path for a period of years, then this experience can be the basis of a brief user statement. This can then form part of the evidence that would be part of the case for footpath dedication. Completing a form (under Form tab) and passing it to the Friends of Chadkirk is one way that you can take part in the process of protecting this footpath for future generations. Issues of Access in Chadkirk Country Park Estate. Come along to a Friends of Chadkirk meeting. The autumn equinox takes place on 23rd September. Exactly 12 hours from sunrise to sunset. Day perfectly balanced by night. A few days later on 28th September a full moon, the Hunter’s Moon. October always provides an opportunity to celebrate. There’s our annual Harvest Supper on Friday 23rd October and the Harvest Festival on Sunday 25th October. Tickets for the Harvest Supper are available from Staircase House. The evening in the chapel includes a quiz and hotpot, with home made apple pie for pudding. For the Harvest Festival no ticket is required. There’s plenty happening at Chadkirk this month. The month starts with our Friends of Chadkirk meeting in Chadkirk Chapel; a relaxed meeting to discuss, among other things, the 2015 Chadkirk Festival. This is our 19th Festival here at Chadkirk, and we know from the visitors who come that, for many, it has turned into one of their favourite summer days out and become something of a tradition. The last Sunday in July? Oh yes! That’s the Chadkirk Festival. Before then, there’s time to spend in the gardens. 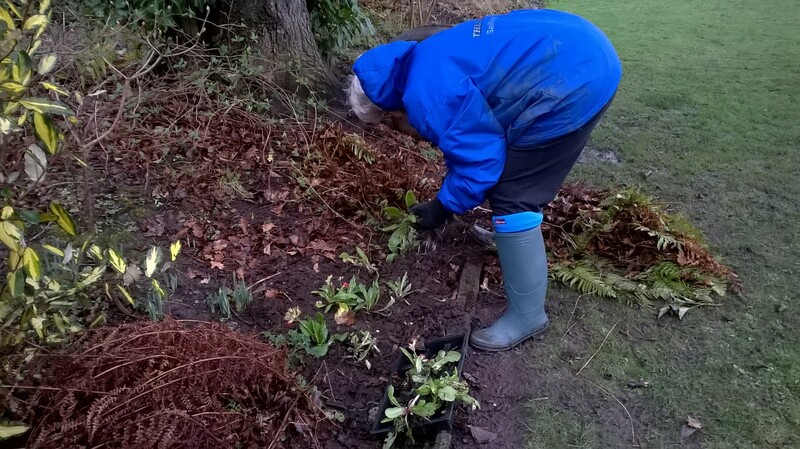 Here volunteers in our gardening team will be doing some weeding, and making the odd nip and tuck, to make sure the garden is at it’s glorious best for the Festival. Today it is radiant and full of blossom in the summer sunshine. From the paths, approaching the garden, the scents of summer fill the air. In the Walled Garden, there are some fine specimen roses, with a stunning cascade of Rambling Rector transforming one of the apple trees. This week’s combination of warmth and wet has provided ideal growing conditions. It may have brought out blossom; it has also nourished weeds. Whereas once, the weeding and maintenance of these gardens was shared between local authority workers and unpaid volunteers, now Stockport MBC pays to mow the lawn. Virtually everything else is being done by local people. 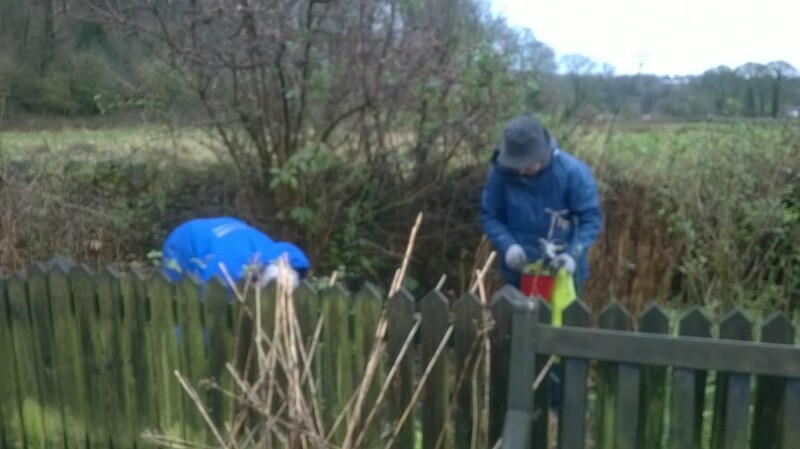 The gardening team includes people with a life time of gardening experience and folk who just enjoy being in the garden doing a little gentle activity with a friendly bunch. The expertise of the the gardening team leader provides inspiration and focus for the rest of the team. This means there’s a great opportunity for people to come along, be in the fresh air, do a little stretching and moving and feel that they are making a difference, enabling others to enjoy this special place. The Friends of Chadkirk gardening team will be in the garden on Saturday 4th July, whatever the weather. Please join us. We are there between 2-4 approximately. Chadkirk Chapel will be open, serving ice cream, tea and coffee. 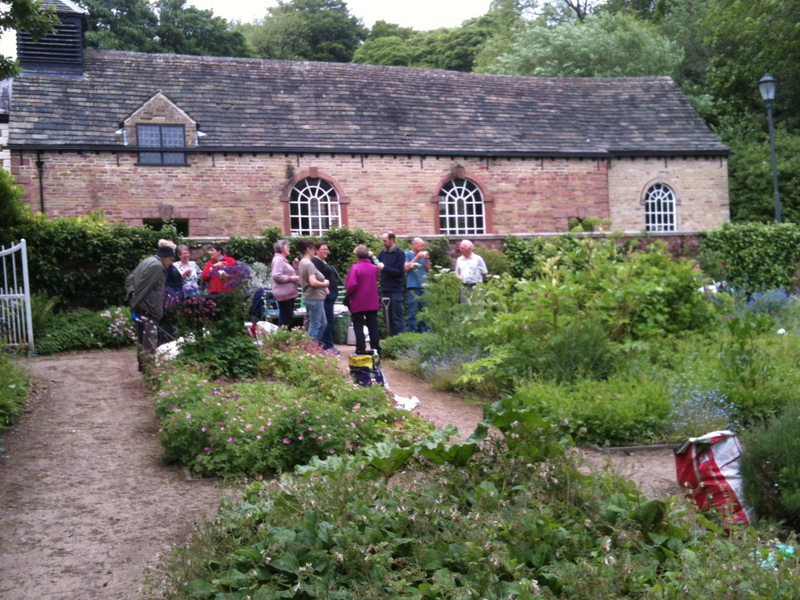 During our break, the gardeners chat and share refreshments. Always a cuppa for each member of the team. Often some home baked cake, biscuits or flapjack brought along by one of the friends as a thank you and a treat.One of the many rewards of being part of the Friends of Chadkirk.